With rejuvenated energy I return to continue my fight to reduce inequities in alcohol-related harm. I found my first Global Alcohol Policy Conference (GAPC) 2017 attendance stimulating and thought-provoking, providing me with rich opportunities to network with the best alcohol policy experts from around the globe. But one thing struck me. Are my assumptions correct that, first and foremost, we share the priority of reducing the unfair gap in alcohol-related harm and that we define ‘success’ by our ability to narrow the differences in harm? The Global Alcohol Policy Alliance website notes the mission “to reduce alcohol-related harm worldwide by promoting science-based policies independent of commercial interests”. Equity is not explicitly mentioned nor is it within the list of objectives, although my attendance at GAPC reaffirms that a focus on equity is implicitly embedded within the organisation. Being clear about our vision is essential. An equity-focused vision is likely to require a different set of objectives and strategies to one which is focused on shifting the distribution curve of alcohol consumption to the left, as per Rose’s population-based approach. Of course the ideal approach is that we equitably shift the curve to the left and change the shape of the curve so that there is less variability across the spectrum of consumption. But is it sufficient to move the curve to the left and reduce the absolute differences between the rich and poor, but not address the relative and unfair burden? This gives rise to the need for us to draw attention in alcohol policy to both the overall shift and shape of the distribution curve. I have attempted to display this in Figure 1. Caution is required in assuming that population-based strategies will inevitably ‘trickle down’ to those most disadvantaged. The findings from tobacco control confirm many beliefs that the poorest in society may never catch up to their more advantaged counterparts. This is especially important when one considers the importance of addressing alcohol harm inequities early in the life course. The ability to alter the shift and shape of the distribution curve is said to depend on whether a policy or program is more structural in nature (that is it targets upstream or underlying factors) or more agentic (that is it targets individual behavioural change). Minimum Unit Pricing is one example of perhaps a more structural change, with evidence that the most disadvantaged benefit the most from this policy (therefore altering the shift and shape of the curve). But do we know the impact on equity from other population-based policies? 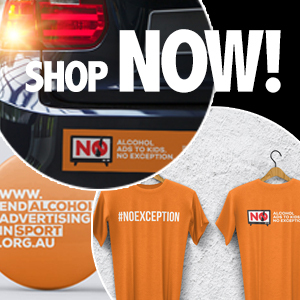 For example, is there consistent and cross-cultural evidence regarding the differential effectiveness (by socio-economic position or other indicator of inequity) of restrictions to CBD trading hours and alcohol advertising/marketing (including labelling), and drink driving laws? Given our countries have vast differences in social welfare buffers, one would expect differences in impact of policies to be found across research. The lack of research doesn’t preclude the need to implement evidence-based policies, but signposts the importance of equity in the evaluation of effectiveness. It is pleasing to see a growing focus in research regarding the causal mechanisms of socio-economic position (however defined) on drinking patterns and subsequent harm. I reaffirm that controlling away socio-economic status in our models does little to acknowledge the significant role it plays in drinking. The inequalities in harm signal the need for an equity-focused alcohol policy research agenda to be developed. You may have heard my applause when the GAPC 2017 Communique was read, highlighting the need to “integrate alcohol policy and an alcohol focus into larger social movements for health, environmental preservation, social justice, and equality”. Let’s bring these words to life, by understanding and targeting the close relationship between social policy and alcohol use. We are obvious allies to wider social movements. This is exemplified in research showing how rises in social welfare spending can decrease alcohol-attributable mortality more than rises in healthcare spending. The GAPC 2017 theme “Mobilising for change – Alcohol policy and the evidence for action” reinforces our need to enhance the underlying conditions in a community, so that a willingness and ability to mobilise on alcohol policy can be realised. There has been a strong suggestion that, in this world of post-truth populism, professional ‘experts’ serve to disenfranchise ordinary citizens from engaging in democracy unless they bring the community along with them in a participatory manner. I firmly support the belief that by embedding our policy efforts within a social justice approach, stories can be told which appeal to popular knowledge, beliefs and emotions on alcohol-related issues and inequity. Finally, we need to be careful about buying into the neoliberal mantra of nudging individuals and communities to make the right decisions when it comes to alcohol use (see How to start nudging people to drink less alcohol as an example). The false distinction between responsible and irresponsible drinkers is a good example of this neoliberal approach. As stated previously, policies and program which are more ‘agentic’ may not change the shape of the curve. The target population is not a high-needs community – it is our welfare systems, the powerful alcohol industry, neoliberal mentality of governments, and so forth. Programs and policies which have the effect of labelling communities risk further stigmatisation of poor and spatially-segregated communities, which in turn reduces their readiness to access essential social and healthcare services. There is evidence of this occurring as a result of tobacco control policies. By having an equity-focused vision, our lens on the world and measurement of our success is guaranteed to change. Benach, J., Malmusi, D., Yasui, Y., Martínez, J. M., and Muntaner, C. (2011). Beyond Rose’s strategies: a typology of scenarios of policy impact on population health and health inequalities. International Journal of Health Services, 41(1), 1-9. McLaren, L., McIntyre, L., and Kirpatrick, S. (2010). Rose’s population strategy of prevention need not increase social inequalities in health. International Journal of Epidemiology, 39(2):372–377. Stuckler, D., Basu, S., McKee, M. (2010). Budget crises, health, and social welfare programmes. BMJ, 340, c3311. Speed, E., & Mannion, R. (2017). The rise of post-truth populism in pluralist liberal democracies: Challenges for health policy. International Journal of Health Policy and Management, 6, 249–251. Haydock, W. (2014). The rise and fall of the ‘nudge’ of minimum unit pricing: The continuity of neoliberalism in alcohol policy in England. Critical Social Policy, 34(2), 260-279. Navarro, V. and Shi, L. (2001). The political context of social inequalities and health, Social Science & Medicine, 52, 481–91. Thompson, L., Pearce, J., and Barnett, J. R. (2007). Moralising geographies: stigma, smoking islands and responsible subjects. Area, 39(4), 508-517.